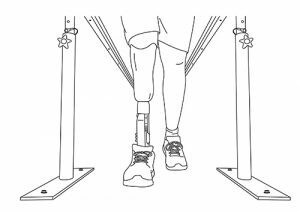 Prior to or in conjunction with prosthetic provision, rehabilitation can be offered in a number of settings to help the patent prepare physically and emotionally for prosthetic use. These services can be provided in acute rehabilitation hospitals, skilled nursing facilities or by home health therapists. While home therapy is an initial choice for many, more intensive rehabilitation can be provided at outpatient or inpatient facilities. A key part of the rehabilitation process includes a functional assessment of the patient’s strengths, limitations and goals to better define their plan of care. Make sure to contact your prosthetist at 757-595-9800 if you have questions regarding post-operative rehabilitation.